Although tightening U.S. and EU sanctions have crippled Russia's economy, they haven't slowed the country's efforts to advance high-tech programs in civil aviation to reduce dependence on Western imports and to tailor the technology for sale into places such as China and India. The Kremlin continues to fully honor its commitments to finance new projects, including the Irkut MC-21 narrowbody jetliner and the Aviadvigital PD-14 turbofan. At a recent press briefing in Perm, Russia, Aviadvigatel general director Alexander Inozemtsev said investments so far amount to 28 billion roubles ($490 million), out of 85 billion roubles promised in total for the PD-14 effort. Perm-based Aviadvigatel leads the development, receiving work packages performed by other Russian design bureaus. The PD-14 derives its nomenclature from the Russian abbreviation for Perspective Engine and its 14-metric ton thrust rating. 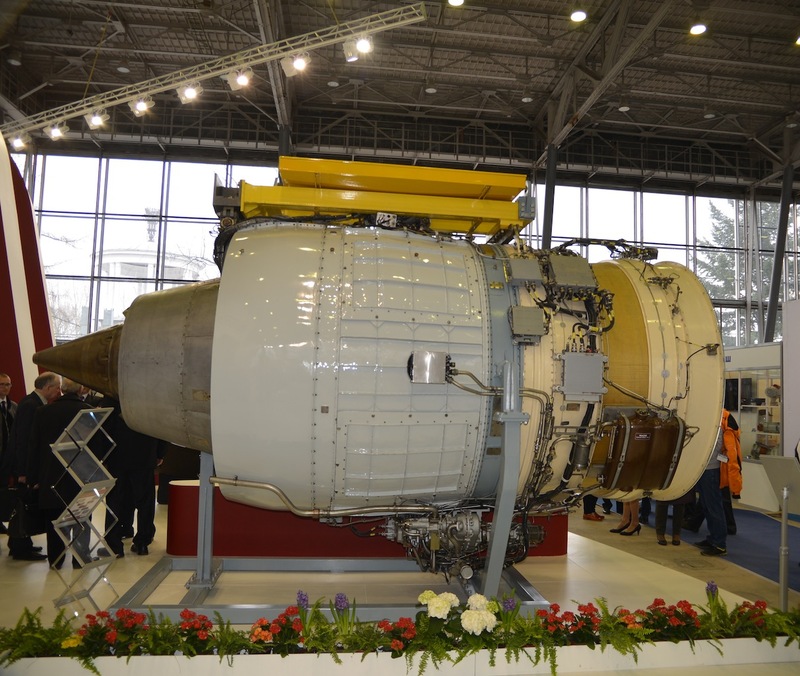 Its developers advertise it as a next-generation high-bypass turbofan with performance similar to Pratt & Whitney’s PurePower family and CFM International’s Leap. An uprated PD-14M is now under development for the Multirole Transport Aircraft (МТА), a joint project by Russia and India. Three operable PD-14 examples have so far amassed “several hundred working hours” on test benches. The company finished assembling a fifth example on December 11, and towed it from the assembly site to a testing rig. Plans call for the sixth engine to undergo assembly by the end of the year, followed by six more next year. Developers expect to make available the seventh engine—and the first engine for flight tests--in March, for trials on an Il-76 flying test bed by the middle of next summer. So far, the focus of the PD-14 program has centered on developing and perfecting technologies, along with making and testing engine demonstrators. “Time has come to start the technical renovation of the manufacturing sites,” Inozemtsev said. The company plans to see parts production established at ten factories across Russia, and final assembly to take place at Perm Motors. Aviadvigatel endeavors to make the PD-14 affordable through use of highly efficient production based on high-tech machinery. So far most of the much-needed advanced manufacturing equipment came from EU, but the falling rouble and tightening high-tech export restrictions has led the company to reconsider procurement plans for more of locally made machine tools.